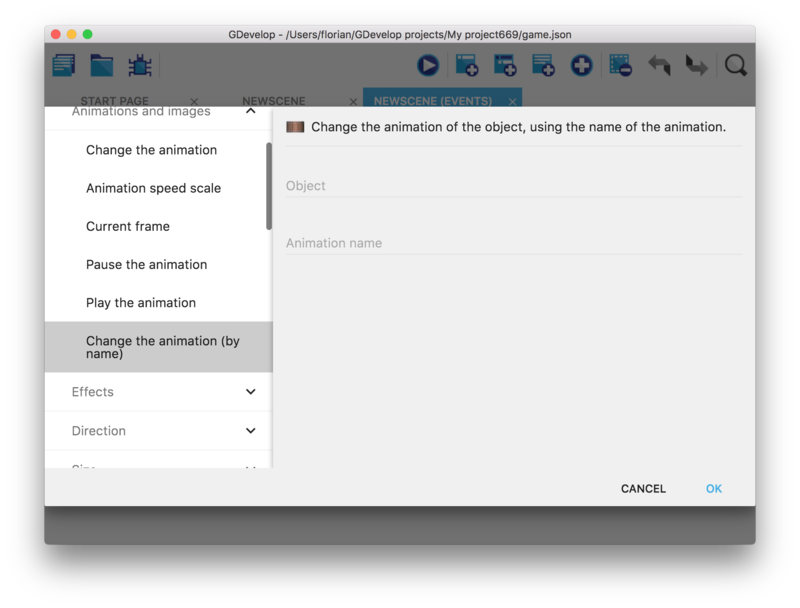 This tutorial will explain to you how to add different animations and how to use events to change the animations when the state of the player is changing. Click here to read the previous tutorial if you have not done it already. At the moment, the player is always displaying the same standing animation but we're going to change that using events. But first, we need to add the appropriate animations to the Player object. Animations can be given names. It's an easy way to differentiate between them and use them in the events. 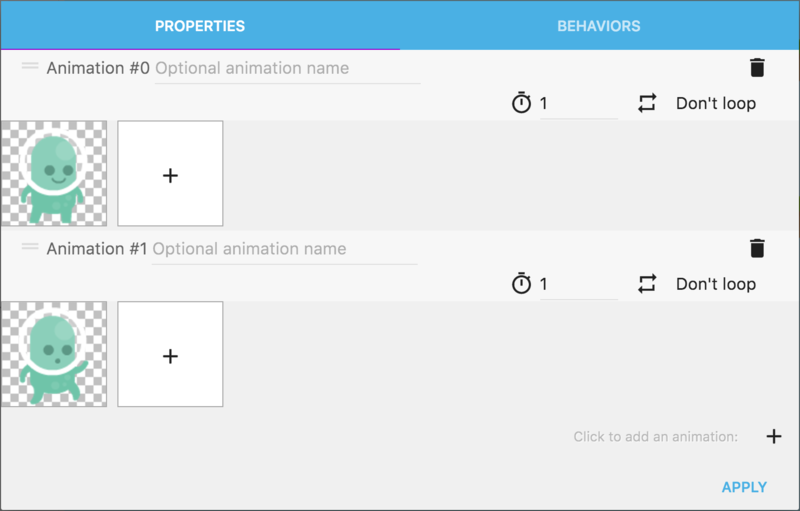 It's as simple as clicking on “Optional animation name” and typing the name you want. Our object is now ready, click “Apply” in the bottom right corner. Now, we need to change the animation displayed by the object according to what the player is doing. We're going to use the events, which are used to describe the rules of the game and how objects are animated, moved and respond to player inputs. 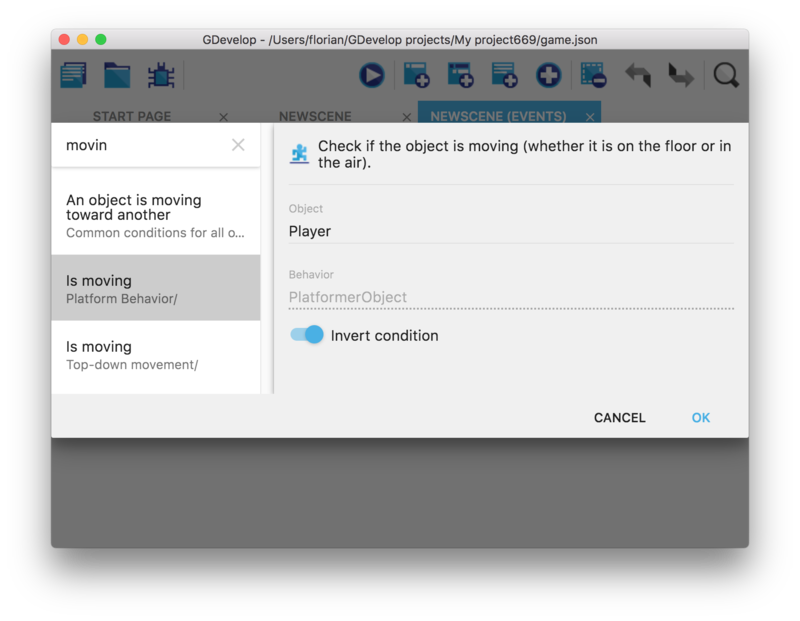 It's a kind of visual programming that can be learned very quickly and is accessible to all. 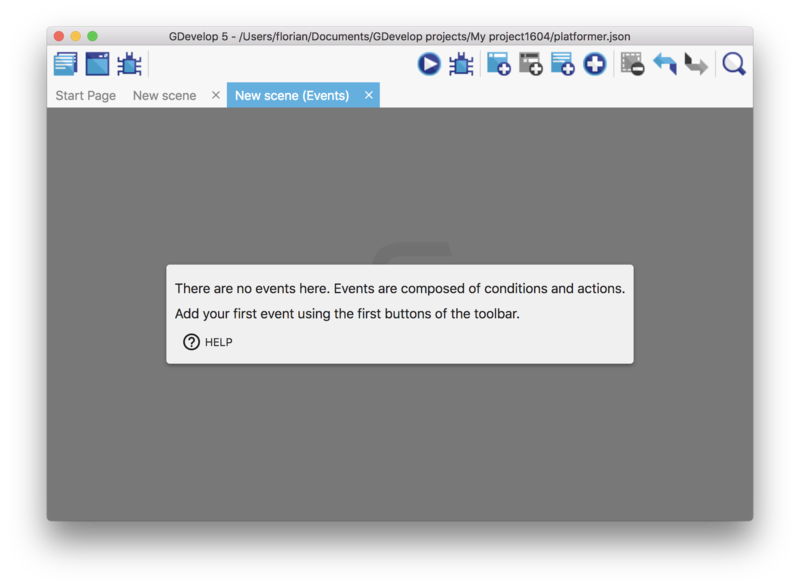 Open the events editor of the scene by clicking on the tab called New Scene (events). Add the first event by clicking on the add event button in the top toolbar. An event is composed of a list of conditions (e.g. to check if a collision is happening, if a key is pressed, if the player life is low etc…) and a list of actions that happen when the conditions are met. In this first event, we're going to check if the player is jumping, and change its animation accordingly. First Click on Add condition. In the new window, you can see all the conditions available to make your game. 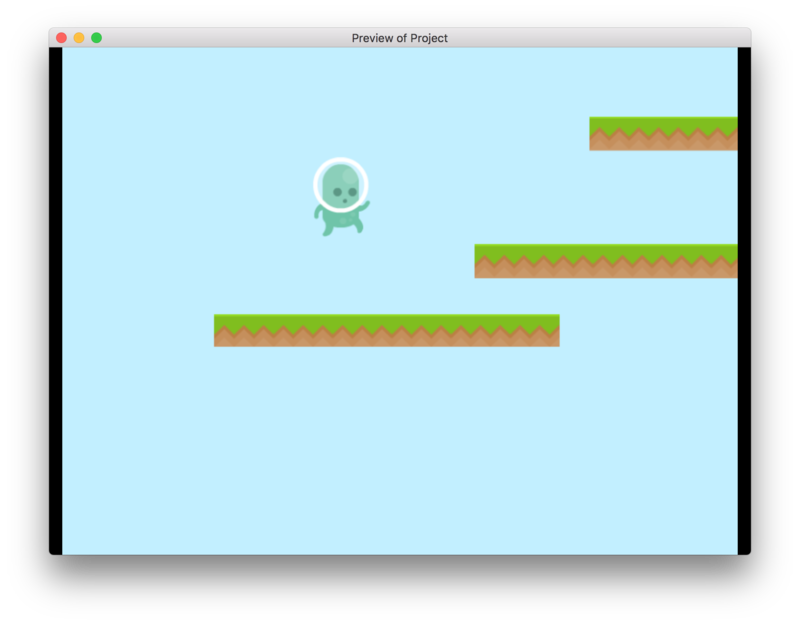 We want to check if the Player object, which has the Platformer character behavior, is jumping. 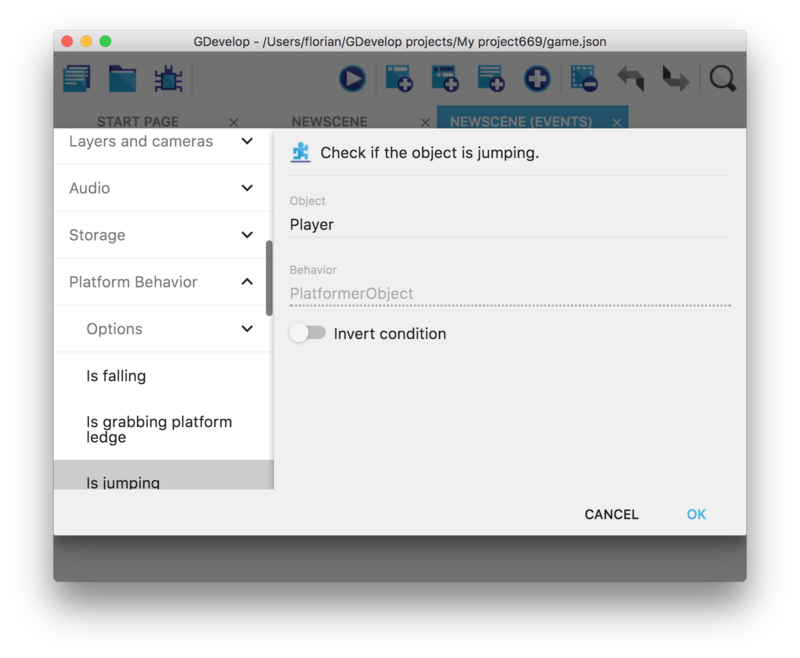 Open the category called Platform behavior and then choose Is jumping. Let's now add the action to change the Player animation when the character is jumping. Click on Add action. We're going to change the animation of the Player, which is a Sprite object. Open the Sprite category, then Animations and finally choose Change the animation (by name). When it's done, click on Ok in the bottom right corner. The first event is ready! Click on the Play button in the toolbar to launch a preview. When you jump, see the player animation changes! But when the Player is back on the floor, you can see that the animation is not set back to the Idle animation. 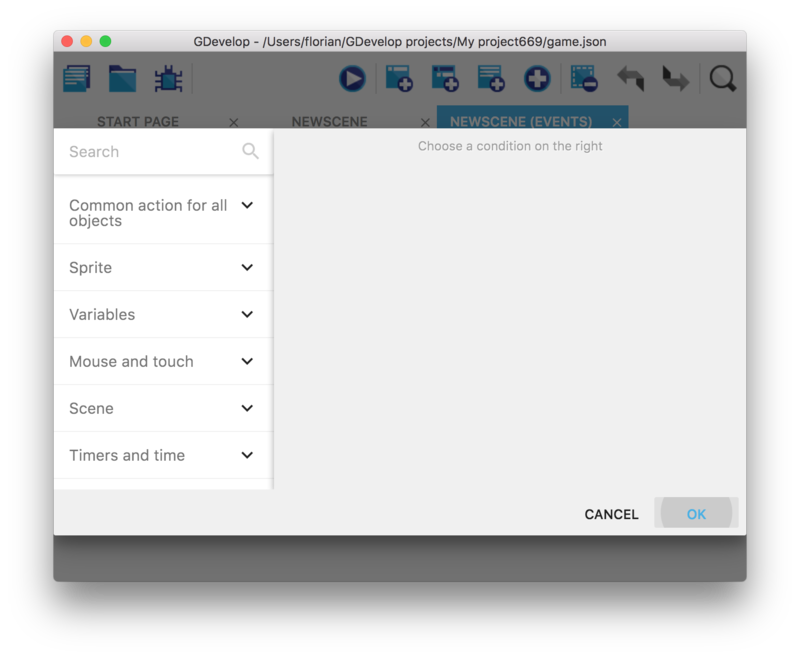 This is simply because we never told GDevelop to do so! Let's add another event to fix this. Let add a new blank event. 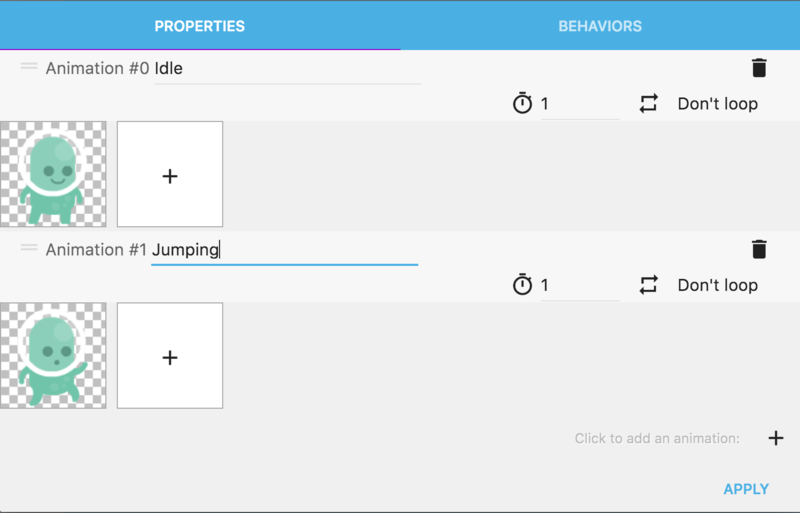 Click on 'Add condition' and this time select the condition 'Is on floor' inside the Platformer behavior category. Note that you can use the search box on the top to quickly find a condition when you know its name! * When the player is on the ground *and* not running, the Idle animation must be shown. * When the player is on the ground *and* running, the Running animation must be shown. Instead, we can use sub-events, to only have the condition checking if the player on the ground one time. We're almost done, let's finish by adding the required actions to each event. 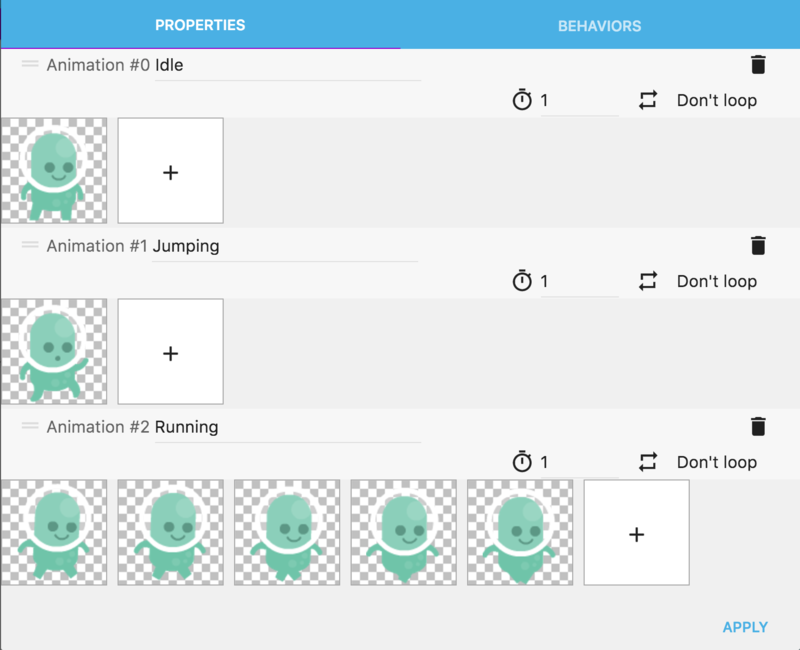 Use the first event to set the animation of the character to "Running" and the second event to set the animation of the character to "Idle". You can add these actions the same way we did before for the jumping animation. Don't forget the quotes (" ") when you enter the animation names. 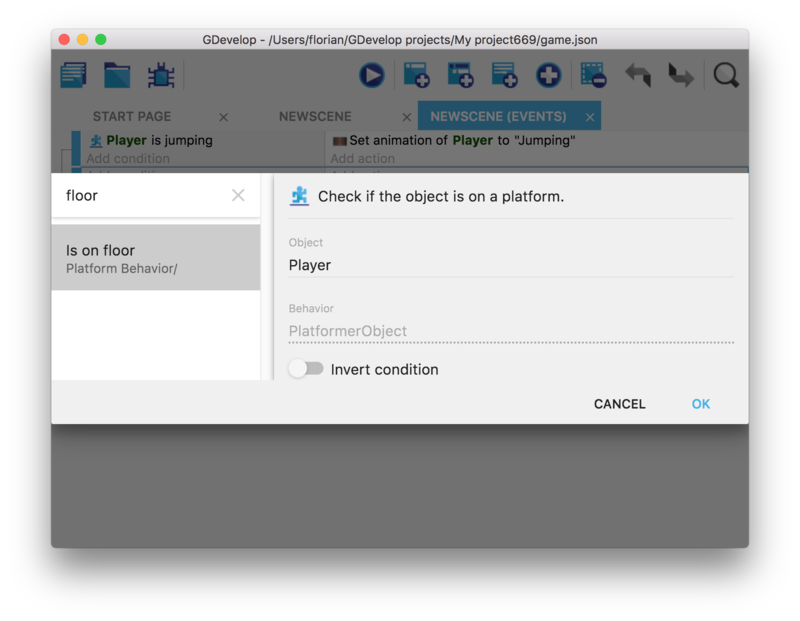 You can launch a preview of your game and see that the player animation is changing while running and jumping! A small improvement we can do is to set the animation to Jumping when the player is falling ​too (otherwise ​the Running ​animation ​keeps playing ​when the player ​reaches the end of a platform). For now, it's hard to build a large level to explore because the player can quickly walk outside of the screen! The next part of the tutorial will show how to make the camera follow the player. It's really simple, a single event will be enough! ➡️ Read the next part of the tutorial here!